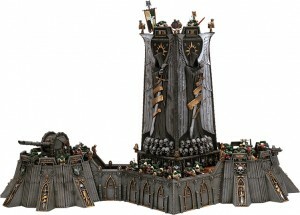 Games Workshop has just released a new terrain kit (for pre-order) called the Fortress of Redemption. Fortress of Redemption; Legions of The Eye Launched, New Advance Orders | Friday, 23 October | What’s New Today | Games Workshop. Posted in Kits, Product Reviews. Tagged with Games Workshop, Warhammer 40K.